Fred Smith: We're all equal here. We're all equal in the eyes of the Lord. 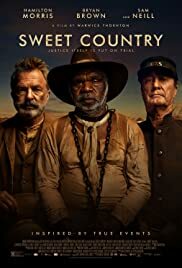 I saw this film on 25th January with my granddaughter who is Aboriginal. Most fitting on the eve of the last day of freedom for Indigenous people. A very moving film that brought home and really reminded us of the cruel and widely hidden history of this country. Should be compulsory viewing for all high school students and used as a starting point for students to explore and examine their local Indigenous history. I hope to be able to buy a copy in the near future.